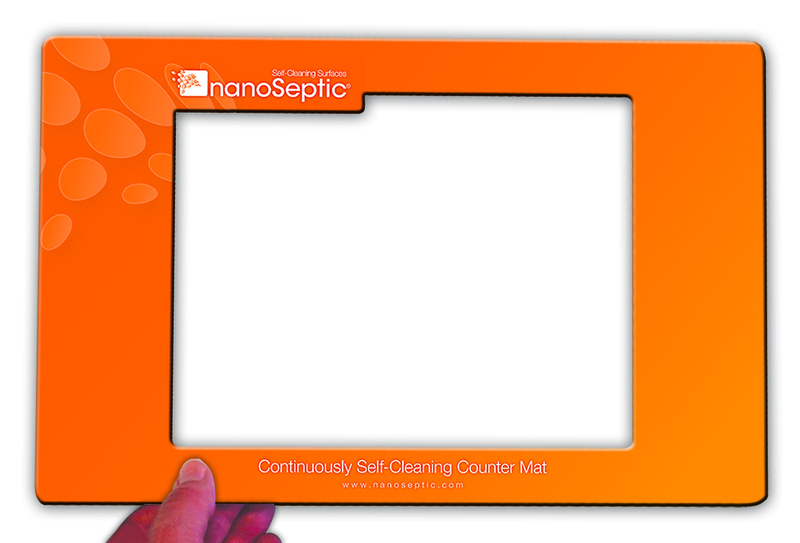 This 11 inch by 17 inch self-cleaning mat is perfect for counters, desks, reception areas or even physician's exam rooms. And the built-in pocket can hold a full 8.5x11 page so you can print your own content. Not only is this a self-cleaning surface, but now you can insert a calendar, educational material or your own promotions. You can even customize the content for different locations. Maybe a calendar at the reception counter but hand washing instructions in the patient room. This mat can be washed or wiped off with soap and water or non-abrasive cleaners.